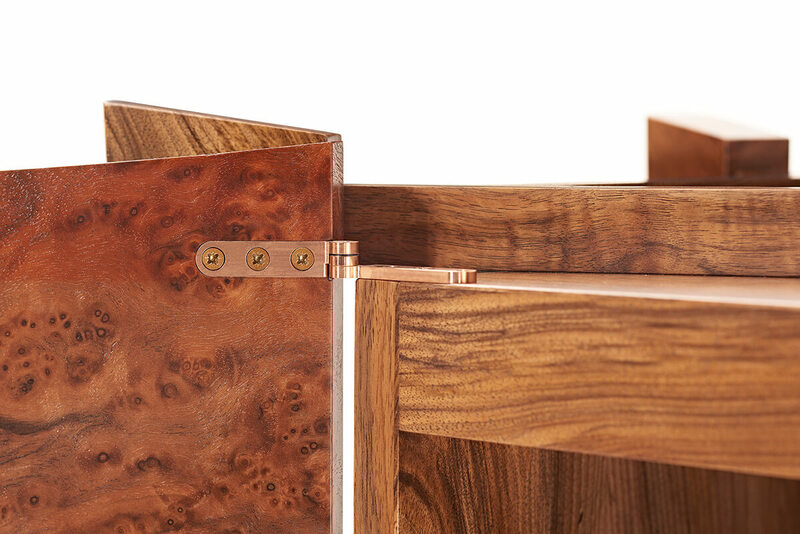 I really enjoy designing drinks cabinets (from a furniture perspective of course!) There is something about them that just leads to elegant forms. 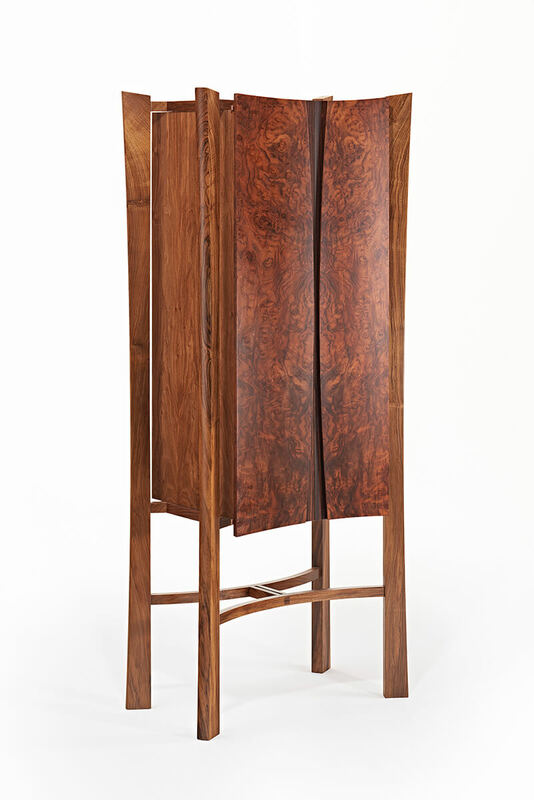 Over the years we have done dramatic bars for private residences, drinks cabinets as feature elements within kitchens, corner cabinets, and free-standing pieces. 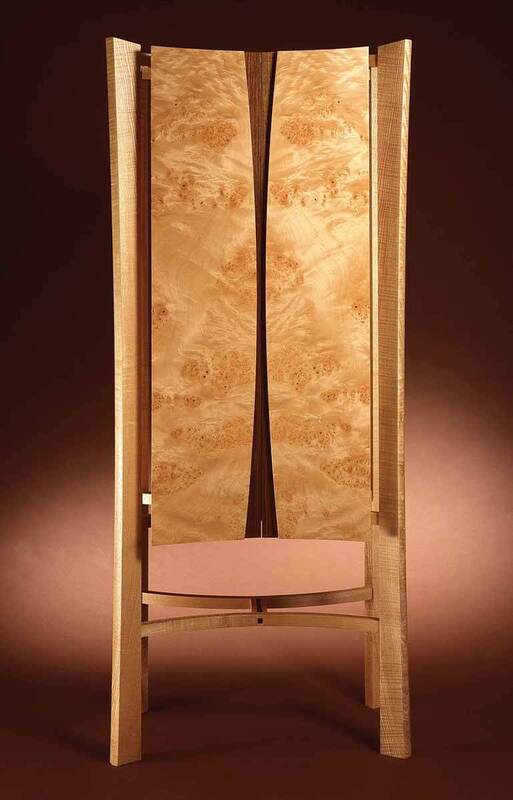 Inside, the warm LED spotlights come on as the doors are opened revealing the rich interior hues. Bottles and glasses are displayed on adjustable glass shelves and there is a bronzed mirror in the back to create the illusion of depth but also to reflect that warm light around the cabinet space. 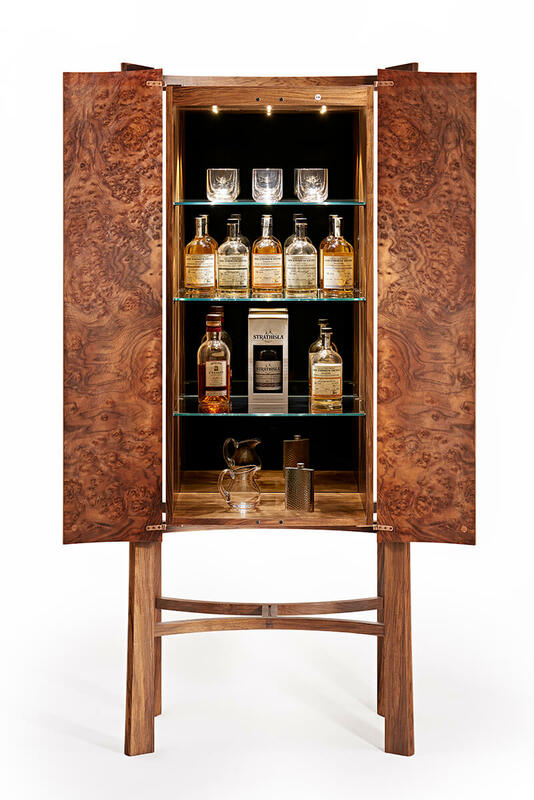 Perhaps it is a favourite piece because it comes closest to the cabinet I’d want to have for my own little weakness – I do enjoy fine single malt whisky. I used the opportunity to photograph it with own collection of Cask Strength Edition bottles from Chivas Brothers – highly recommended by the way. 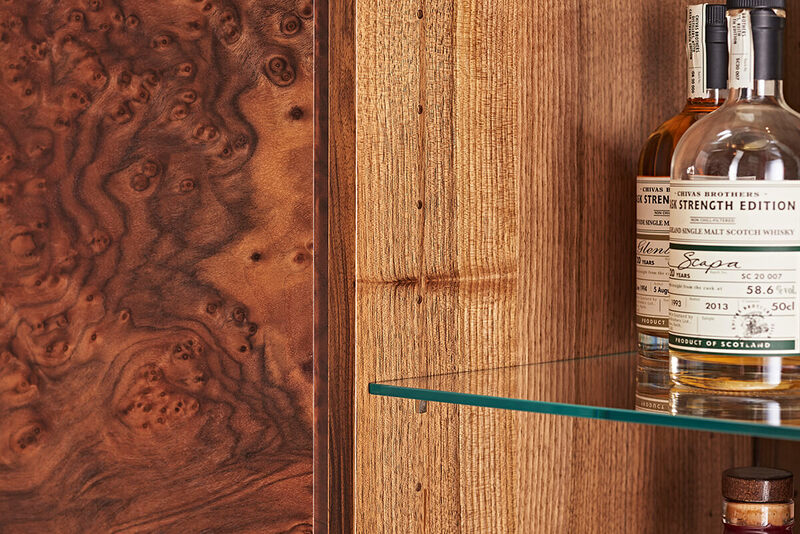 As well as being very attractive bottles these very special whiskies also echo the bespoke craft, time and dedication we put into our furniture. 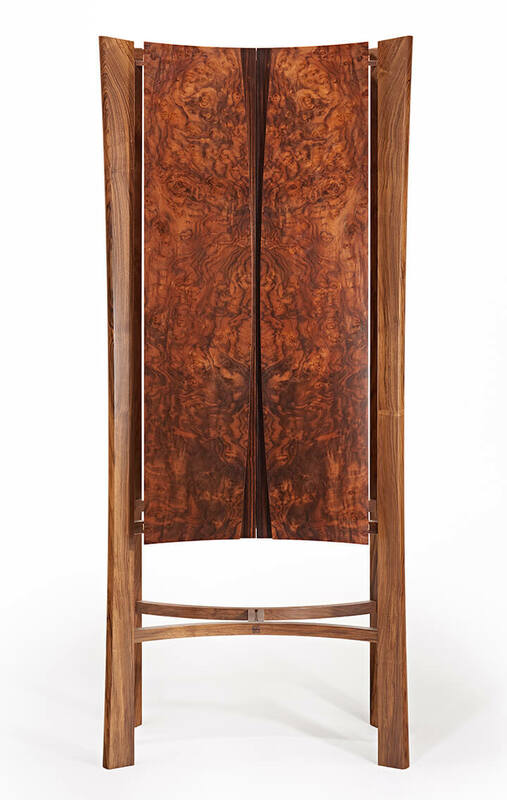 One day I’ll get to make my own drinks cabinet, and when I do it will look very much like this one. It’s also a bit of a dedication to my father who passed away in early 2015. Captain George Pirie was a gentle Scotsman from the North East, where the best whisky comes from by the way! He taught me to appreciate a good dram, and it’s his hip flask – a gift on his retirement from his ship’s crew, that gleams on the bottom shelf. Slàinte! This entry was posted on Sunday, December 20th, 2015 at 2:43 pm and is filed under Furniture for Sale, News. You can follow any responses to this entry through the RSS 2.0 feed. Both comments and pings are currently closed.